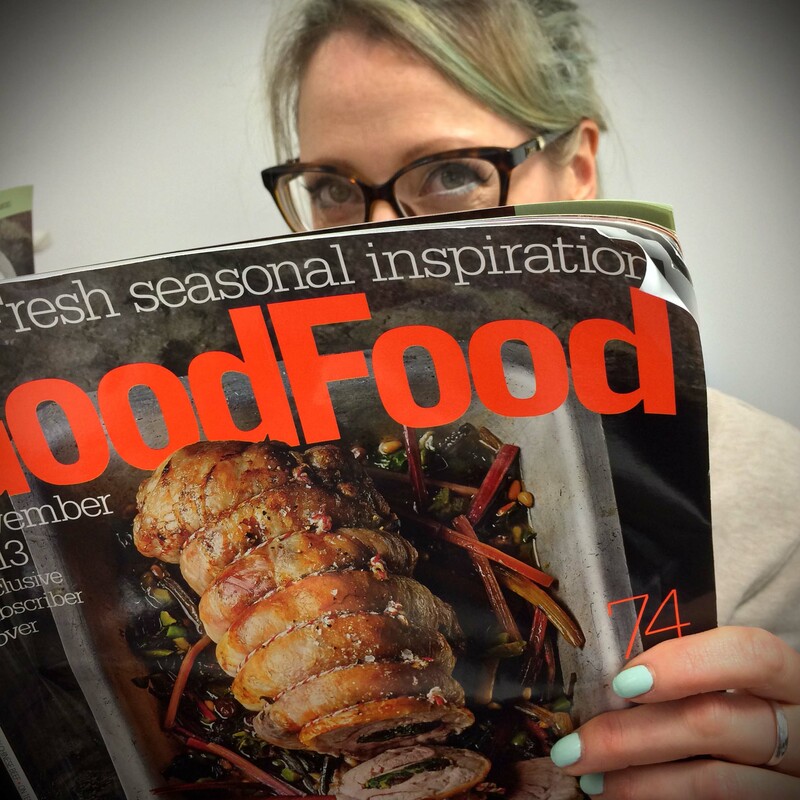 Not really a cookbook review this weekend, as the November edition of BBC GoodFood Magazine is now out I thought I’d give you a little review on that instead. The most exciting thing about this months copy is the Persian ‘Food For Friends’ styled by Julia Azzarello one of my favourite Food Stylists that I’m lucky enough to work with. Julia’s styling is very delicate, realistic and totally in trend. My favourite shot from this story is the over head of the eaten into Shirazi salad, I love the propping with the double lemon and the sprinkaling of pomegrante seeds, which are one of my favourite things to garnish with at the moment… maybe that’s because they are in season, or maybe I just like them. There are also some beautiful shots in the ‘In season’ artical, lots of lovely pie, which is another thing I really enjoy shooting as they always look so good in photographs. I do feel that the styling couls have been a little more relaxed and messes, but I don’t think that’s the BBC’s style, they tend to play it safe. There is also a stunning shot on page 47 of cracked caramel. The bright orange caramel fills the page and the way it is cracked reminds me of biting into a toffee apple so much that I can taste it just by looking at it… great shot!